The number of millionaire households rocketed by 14% between 2012 and 2015, new data shows. MORE than 7,000 Balearic residents are worth more than a million euros. Altogether, 7,317 residents declared a wealth of more than seven figures, according to the government’s tax agency. 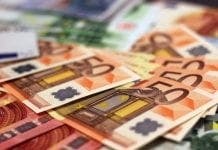 The combined wealth of all the islands’ millionaires was more than €20 billion. The Tax on Patrimony is paid by everyone on the island with wealth of more than one million euros.